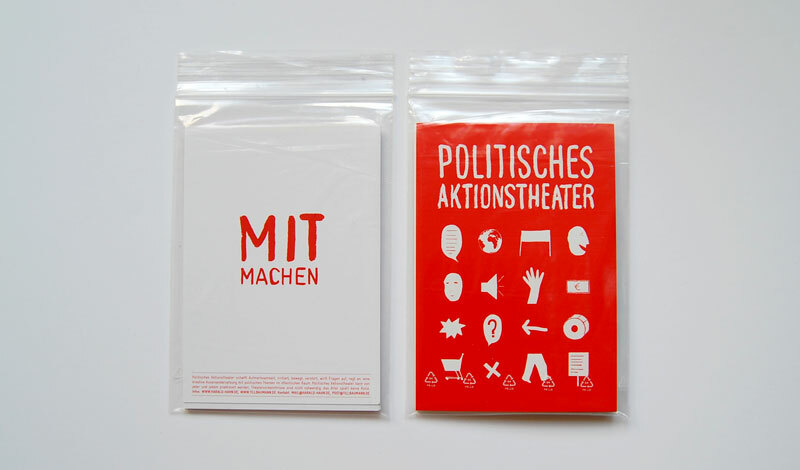 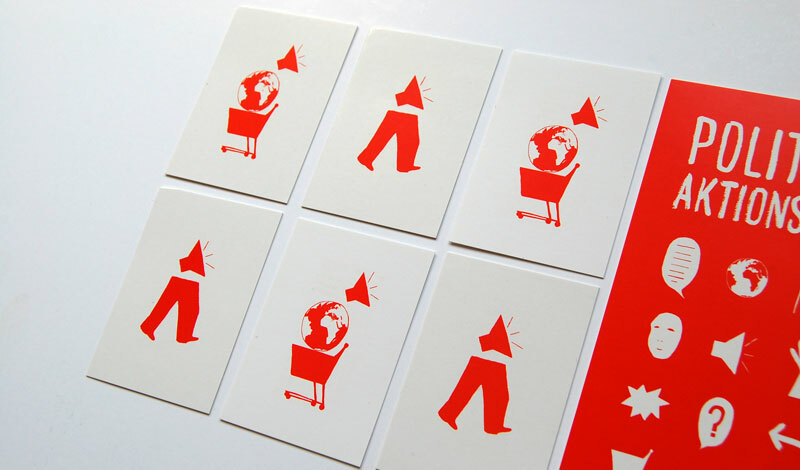 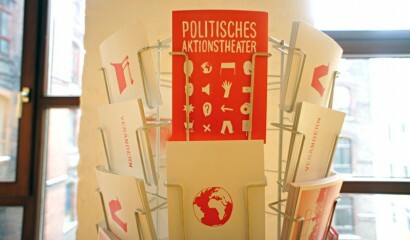 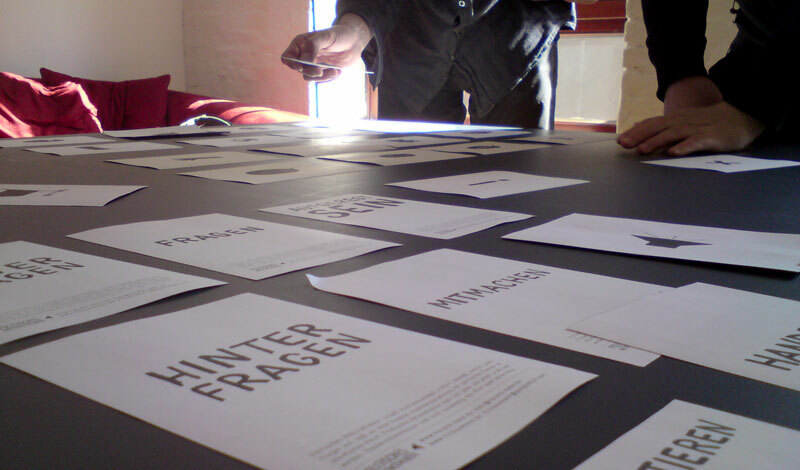 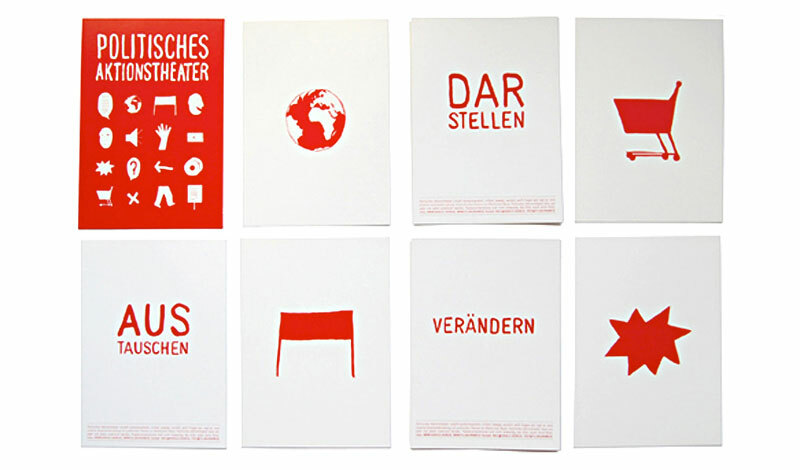 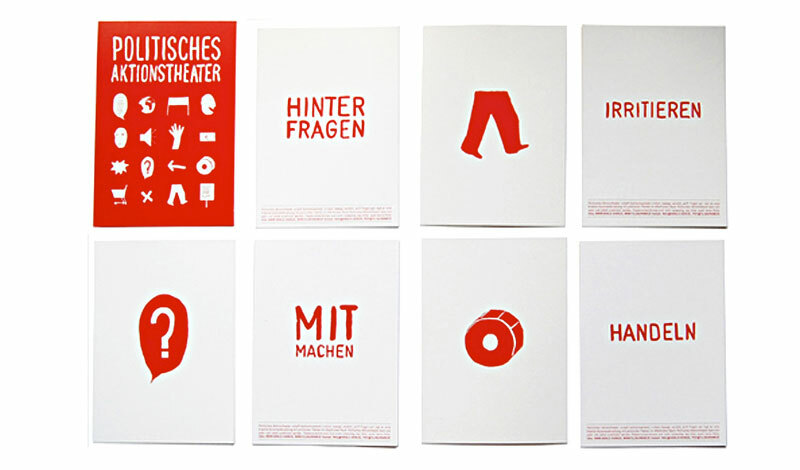 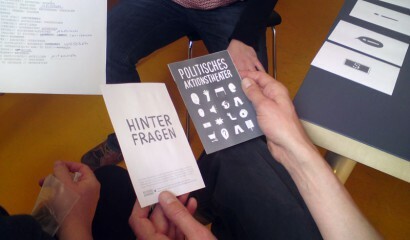 an info postcard set for the political action theatre teachers harlad hahn and till baumann. 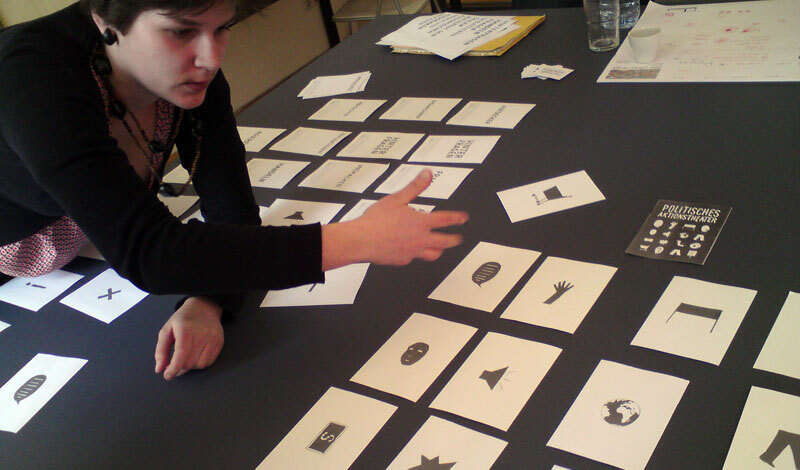 political action theater is a form of public intervention with a collective theatre practice in order to help activist groups to gain attention for their issues. 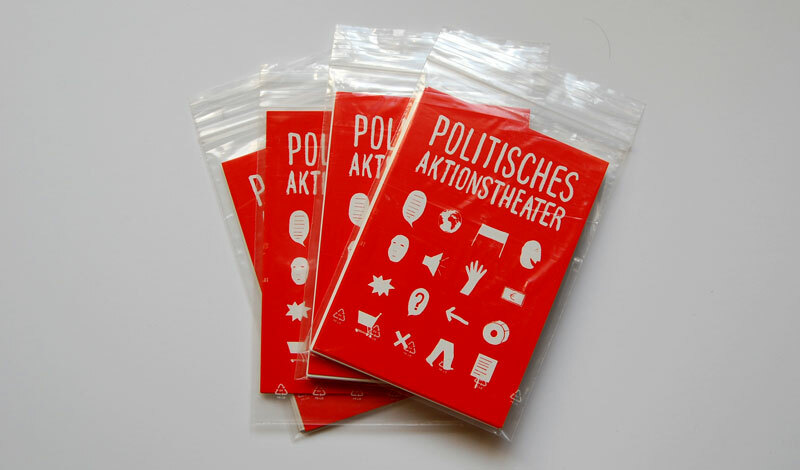 in opposition to a classical theatre setting on a stage political action theatre understand the streets as the stage and the audience as participators in shaping the content. 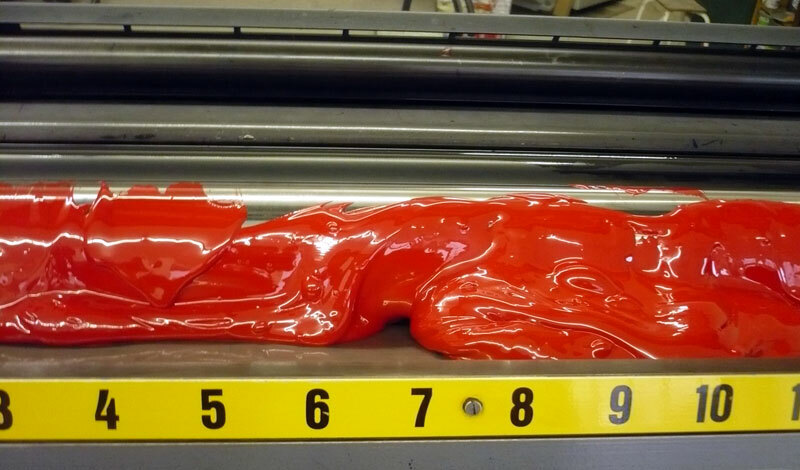 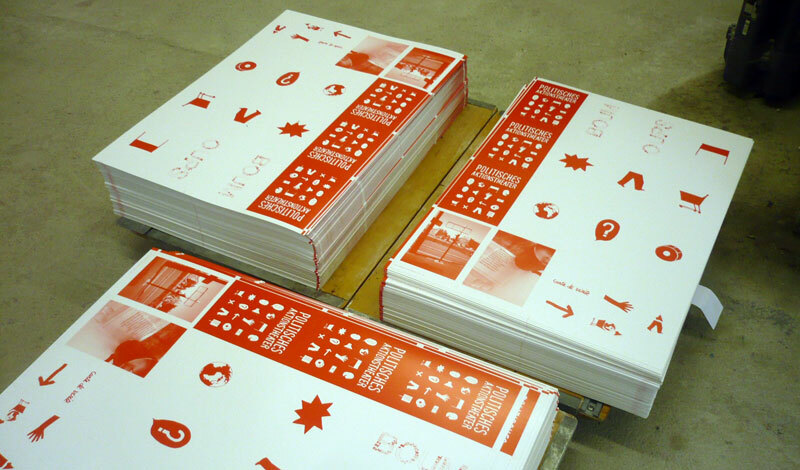 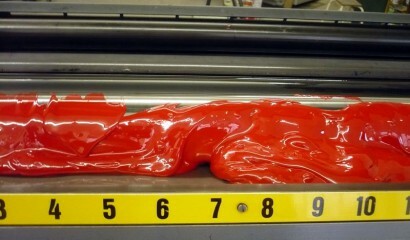 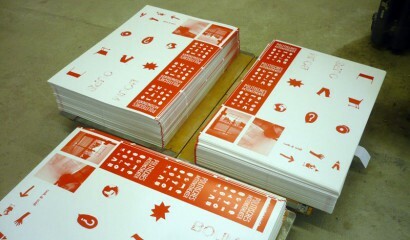 this project was realized by with our intern adeline debatisse.